CT Systems is an innovative company with more than 30 years of experience, and is highly experienced in every professional maritime sector.Situated on a central location along the Dutch coast line nearby Den Helder, the Capital of the North Sea. The main activities are development and installation of hardware and software for use in the offshore-, comercial fishing-, survey-, maritime construction- , and dredging sector. One of the flagship products is the Viking Navigation product range. 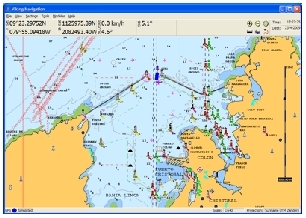 Viking is a specialized navigation and positioning software product, consisting of several versions. Each version is specialized and optimized for it’s industry of use. Along with the Viking product range we also supply, install and support all related hardware products. Our product range consists of PC installations, hydographic survey equipment, dredging sensors and RTK GPS receivers.